Expanding past his progressive house roots, Kaskade ventures into new territory by exploring more ambient / dream pop house with this new record. He also steps up as a vocalist on the LP, along with frequent collaborator Haley and Becky Jean Williams who delivers soft delicate vocals that remind us a bit of St Etienne and also SCP fav Lights as well as collaborators Project 46. "It's not necessarily about being a singer – it's more about just catching the idea of the song," . "I'm not gonna go on American Idol or anything like that. But for me, the time was right, and it was the right song for me to sing." The album as a whole still captures the trademark progressive house nature we have come to expect from Kaskade, however blended across that, is the delicate vocals that provide a raw, honest and personal album, that is full of emotional and vulnerability. All these elements are shown in first album track Last Chance which was his collaboration with Project 46. Other highlights include, Why Ask Why which shows the DJ/Producers emotional side with lyrics that about saying goodbye to a lover, yet she wants him to go with her, all over a delicate electronic synth beat. MIA to LAS is full of deep house dub beats with similar named and produced track, LAS to JFK having a slightly darker edge and deep bass. One of the most beautiful tracks on the album, is a piano ballad No One Know Who We Are, with soft strings stripped back with no dance beats, just a delicate ballad full of emotion sung by singer Lights. The track was remixed with more of a progressive house edge and released earlier this year however we prefer the album version. Feeling The Night is the one of the dance floor ready singles on the album, returning to more progressive house vibe, with building beats and Becky Jean Williams’ whispering voice. The track builds, teases and drops into exploding chorus, that would set any club on fire. Title track Atmosphere sums up what to expect from the LP and is where we see the producer provide his vocals. The track showcases a combination of big dance party tunes, along with the delicate, emotional and minimal side of the album. 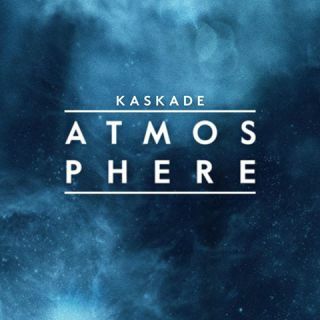 Overall... a great album from the DJ/Producer, full of emotion and honest lyrics, against some very well executed progressive/ ambient house tracks, that will certainly be loved by Kaskade's current fan base and expect gain many more fans along with it’s a release..! Atmosphere is release today and available on iTunes now..!